New York Wine Events presents its annual wine festivals at NYC's PlayStation Theater in Times Square on February 6 and at NJ's Hilton Short Hills on February 26. The tasting events feature numerous wine selections, light pairings, artisan foods, and live jazz performances; tickets are on sale now at NewYorkWineEvents.com. New York Wine Events presents winter wine tasting events this February in New York City and Short HIlls, NJ. The excitement of Times Square has always made our largest event a lively, memorable New York happening and the inclusion of more New York State wines than ever before is something our guests have asked for and will certainly enjoy. New York Wine Events is pleased to announce its annual winter wine events slated for February 2016 in the Metro New York area. The 7th Annual New York City Winter Wine Festival curated by Vintry Fine Wines returns to Times Square's PlayStation Theater (formerly The Best Buy Theater) on Saturday, February 6 with two tasting sessions: Afternoon: 3-6pm and Evening: 8-11pm. On Friday, February 26, the 4th Annual New Jersey Winter Festival takes place once again at the Hilton Short Hills from 7-10pm. The winter wine tasting events will feature a vast selection of wines – 150+ in New Jersey and 250+ in New York City. Accompaniments of light fare include hors d’oeurves, cheese and cracker selections, as well as artisan food tables sampling chocolates, baked goods, cheese, olive oils, and more. Guests can keep their complimentary custom etched tasting as a souvenir and will also enjoy live jazz performances at each event. Internationally acclaimed jazz/R&B keyboardist and 2-time Soul Train Music Award winner Alex Bugnon takes the stage at the PlayStation Theater in New York City and the David Bach Consort performs in New Jersey. Wine tasting tables located throughout each venue will feature an eclectic mix of robust reds, dry, buttery and smooth whites, plus some crisp sparkling selections. Guests will experience grape varietals from old, new and emerging wine regions from around the globe including France, Italy, Spain, South America, South Africa, Australia, New Zealand, the United States, and more. New York wines be a special focus of 2016’s NYC Winter Wine Festival with an array of New York State wineries participating, highlighting the growing popularity and influence of New York’s wine regions. A VIP Ticket option is available at both festivals (limited to 50 people per session) and includes the main tasting plus admission to a private VIP wine tasting suite featuring 12 high-end wines in NYC and 10 in New Jersey, retailing on average from $75-$225+ per bottle, plus a deluxe selection of passed hors d'oeuvres. Wines will include premier selections from Champagne, Bordeaux, Burgundy, Argentina, and California. 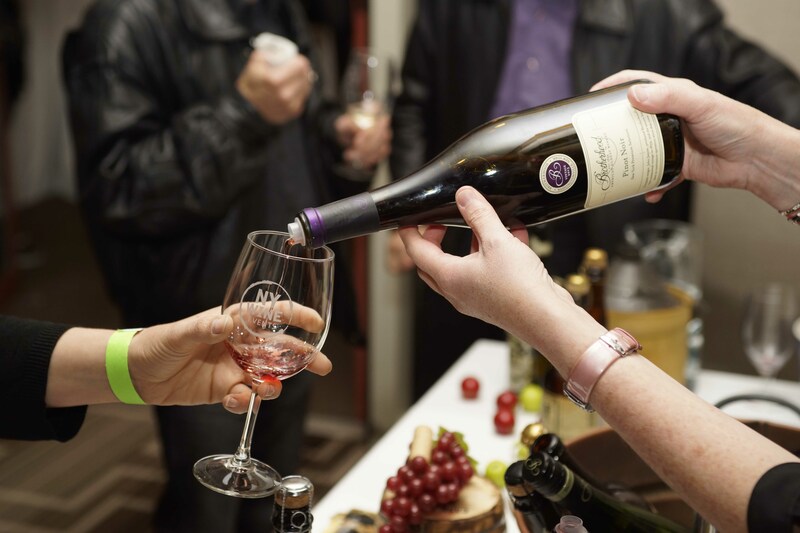 New York Wine Event’s popular tastings in New York and New Jersey have attracted sell out crowds for the last decade, and the winter wine festivals are expected to do the same. Once again, artisanal food companies who participate at each event and will also feature items for guests to purchase and enjoy at home. Lifestyle vendors selling jewelry, cutlery, and wine-centric objects will be displaying and selling as well. Sponsors and artisanal food purveyors to date include Alexian Pate, AMA Waterways, Aura Glass, Backyard Brine, Beecher’s Cheese, Bonne Fête Baking Co., Brooklyn Oenology, Brooklyn Winery, Brotherhood Winery, Casa Visco, Cutco, Dr. Frank Vinifera Wine Cellars, Forth Creek Foods, Fulkerson Winery, Green Mountain Energy, Hetta Glogg, Jerky James, Karen Grace Designs, Lakeland Winery, Last Call 4 Cupcakes, Li-Lac Chocolates, Pazdar Winery, Peconic River Preserves, Salsa Di Parma, Sucre Bleu, Three Brothers Winery, Thousand Islands Winery, Traci Lynn Jewelry, and Vines & Branches at the NYC event on February 6. Brotherhood Winery, Dove Chocolate Discoveries, Dr. Frank Vinifera Wine Cellars, Green Mountain Energy, Jerky James, Last Call 4 Cupcakes, Salsa Di Parma, Traci Lynn Jewelry, and Ventimigila Vineyards will be in attendance at the New Jersey event on February 26. More sponsors, wineries, and artisanal food companies will be added in the coming weeks; check web site for details. Tickets to both events are on sale now, ranging from $59 to $89, depending upon the event and time of purchase. The VIP Ticket option for the NYC Winter event starts at $199 and at $179 for the New Jersey Winter fest. Check the web site for limited time early purchase discounts and group pricing. Advance purchase is highly recommended. For complete details on the winter events or to purchase tickets to the NYC Winter Wine Festival, or the New Jersey Winter Wine Festival, visit NewYorkWineEvents.com. New York Wine Events hosts elegant wine tasting events at first class venues in New York City and Northern New Jersey. The company’s goal is to provide a wine tasting experience that allows guests to sample as many diverse wines as possible while enjoying great music and the company of other wine lovers. Visit NewYorkWineEvents.com. Vintry Fine Wines brings fine wine to NYC’s revitalized downtown. With 2,500+ selections focusing on both collectibles and drinkables, Vintry is a destination in bourgeoning Battery Park City. Featuring iconic design marrying classic and modern elements by architecture firm Rogers Marvel, this indicates what the store is all about: the best wines from both old and new world regions. Visit VintryFineWines.com. 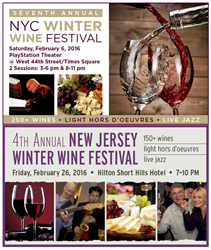 February 2016: New York Wine Events presents two winter wine tasting events in NYC's Times Square and in Short Hills, NJ.The New York City Winter Wine Festival returns to Times Square's PlayStation Theater (formerly Best Buy Theater) on Sat., 2/6 with sessions at 3-6pm and 8-11pm and the New Jersey Winter Wine Fest returns to the Hilton Short Hills on Fri., 2/26, 7-10pm. New York Wine Events presents the 7th Annual NYC Winter Wine Festival 2/6/16 featuring 250+ wines curated by Vintry Fine Wines.The NYC Winter Wine Fest features 250+ wines, a special VIP ticket option, live contemporary jazz from Alex Bugnon, artisan food samplings, and light fare at the PlayStation Theater (formerly Best Buy Theater) in Times Square, Feb. 6, 2016. The 4th Annual New Jersey Winter Wine Festival returns to the Hilton Short Hills on Friday, February 26, 2016 from 7-10pm.The NJ Winter Wine Festival features 150+ wines, a special VIP ticket option, live jazz from the David Bach Consort, light fare, and artisanal food samples, Friday 2/26 at the Hilton Short Hills. 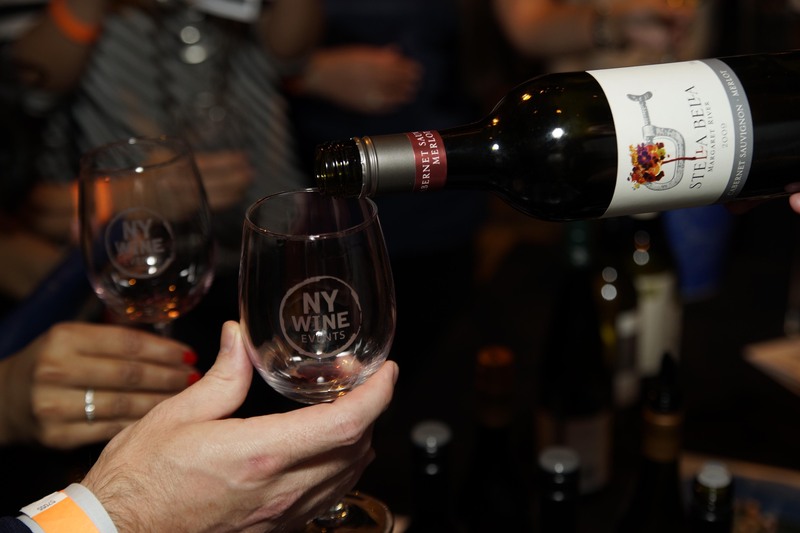 New York Wine Events presents two winter tasting events in February 2016.The 2016 NYC Winter WIne Festival comes to the PlayStation Theater (formerly Best Buy Theater) in Times Square, Feb. 6, 2016. 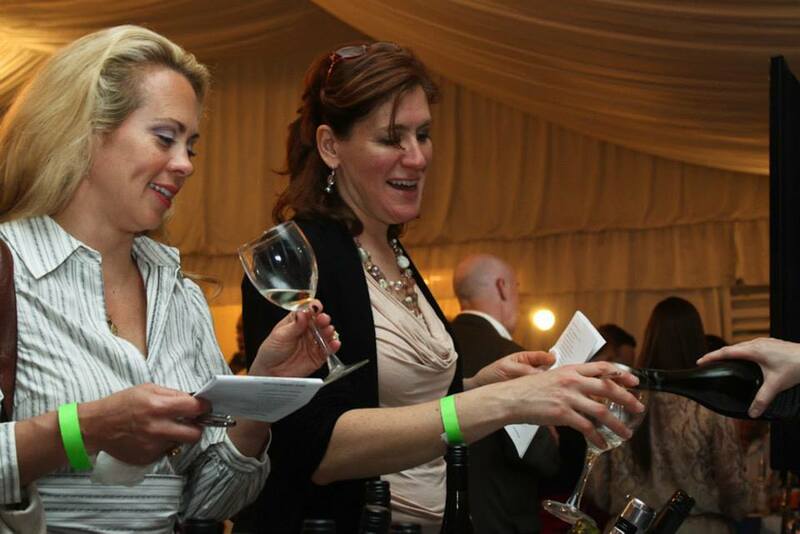 The NJ Winter Wine Festival takes place Feb. 26 at the Hilton Short Hills. Tickets for both events are on sale now.